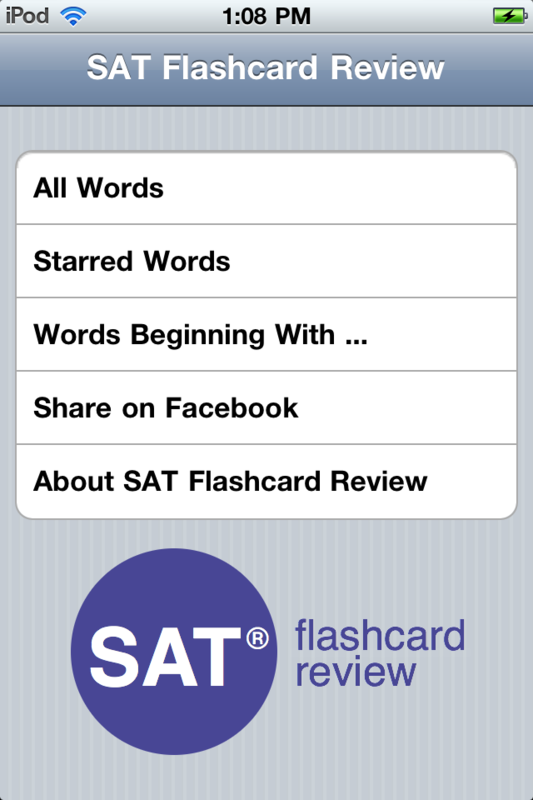 SAT Flashcard Review provides over 5,000 simple, easy-to-use flashcards for studying for the standardized tests required to apply to most colleges such as the SAT, SAT2, and ACT. 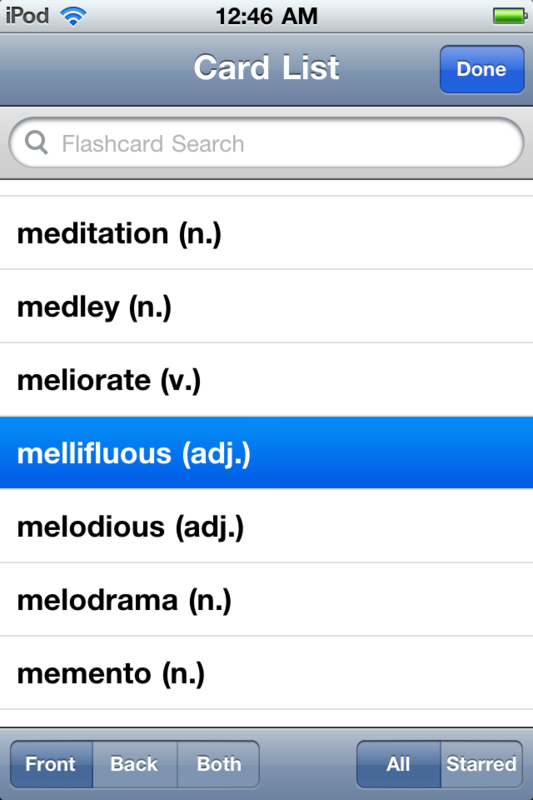 Because there are so many words, chances are you'll be studying new words every time you open the app. 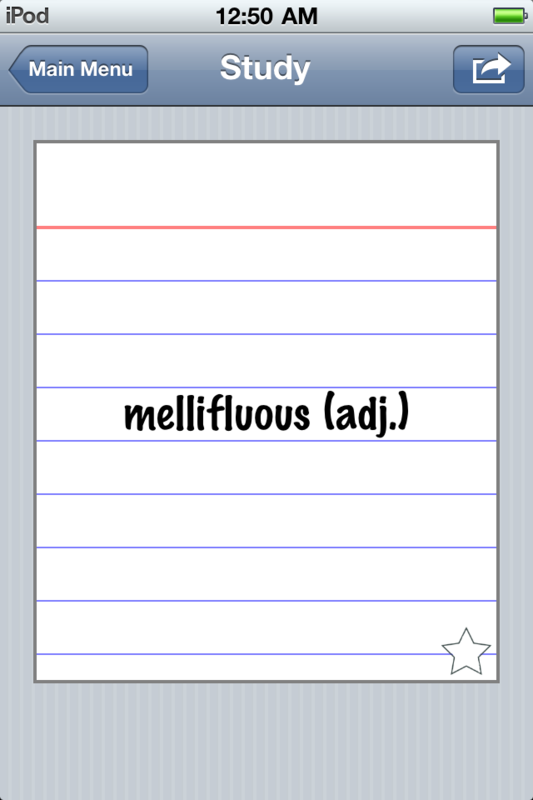 You can also star a word if you would like to revisit it later. Star all your problem words, and you have an easy study resource for only the words you haven't yet memorized. 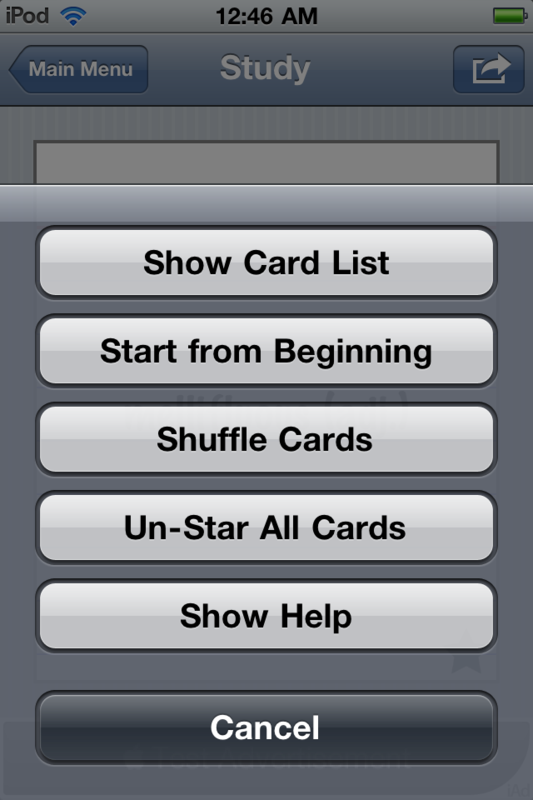 SAT Flashcard Review can dramatically improve your score and help you chances to get into the school you want to attend.